Tips for discussing your finances with your significant other. 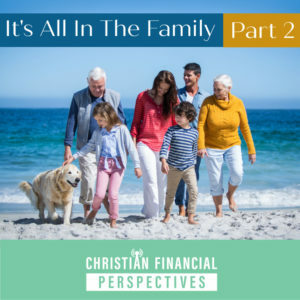 In Part 2 of our 2 part series “It’s All In The Family”, Bob and Mary Jo discuss the importance of having financial conversations with your spouse in a sensitive and productive way. Having these conversations is usually anything but easy. So, in order to better provide a simple way to begin these conversations, Bob and Mary Jo offer “10 Tips for Talking With Your Spouse About Money”.